Yesterday while making my deposit at the bank I noticed the tellers ridiculously long nail tips painted to what she clearly thought was perfection in a pink and white French manicure. I of course tried to avoid staring at her talons and wondered if my mouth was perhaps hanging open at the site of them. I even considered snapping an incognito picture with my camera phone just to prove the point. The tips had to span at least two inches in length and clackingly hovered around the keyboard on her computer like a pair of stilettos on a brick sidewalk. It’s at times like this, when I see a somewhat cute and fashionable girl with 80’s era fake nails that I want to ask…. Do you read any fashion magazine? Even without uttering a word I am convinced that the answer would be, I read Ok and People magazines. Not that there’s anything wrong with it, but come on sister, there have been new advances in nail trends in the lasts twenty five years… Heard of shellac? In any case this season the chic way to wear nails is with a tad bit of shimmer, not of the frosty, icy variety of course, no,rather a subtle pearl that catches the light in just the right way. 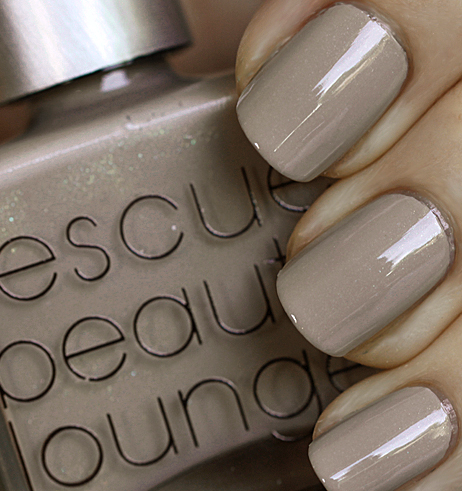 Always a huge fan (and former retailer) of Rescue Beauty Lounge polishes I am over the moon about creator Ji Baek’s latest shades. 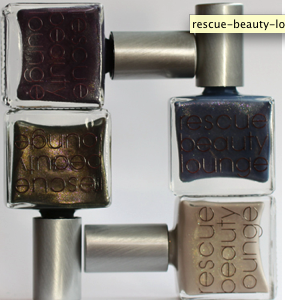 The collection itself called The Real Housewives of the Tudor Dynasty is a rich sultry foursome containing micronized shimmers that make the nails look dazzling in a grown up and downtown chic kind of way. The shades were inspired by the wives of King Henry VIII. 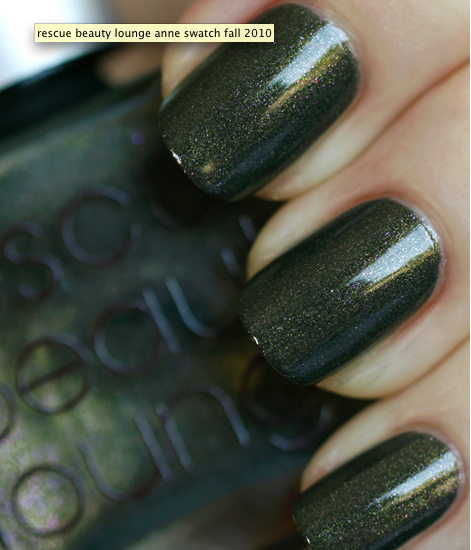 Anne, named for Anne Boleyn, is a grayed olive green packed with old gold and bright pink shimmer. 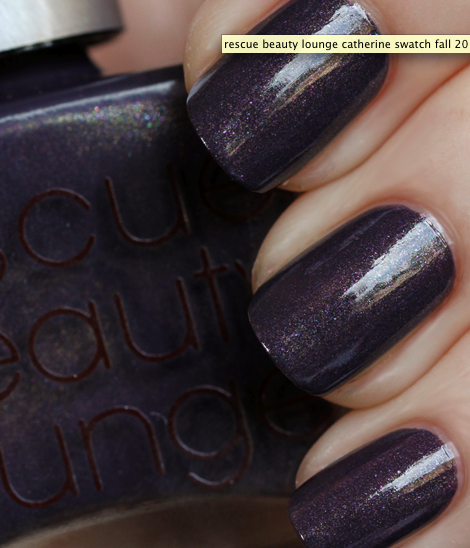 Catherine, named for Catherine of Aragon, is a smokey royal purple infused with pewter, bright blue and fuchsia shimmer. Catherine H, named for Catherine Howard, is described by Ji as a Wedgewood blue. The shimmer in this one is a combination of the old gold from Anne with the bright blue and fuchsia from Catherine..
Jane, named for Jane Seymour, is an oyster hued creme with an injection of yellow gold, pale pink and light green shimmer. 4 New Year New You Habits to Start Now!